ASTWOOD BANK reignited their Birmingham League Division Three title hopes with a vital seven-run victory over fellow promotion hopefuls Milford Hall on Saturday. Steve Adshead’s side have endured a tough few weeks having gone three league matches without a victory, including two abandonments, and also seen their National Village Cup dreams dashed at the semi-final stage. However, Saturday’s crucial win at the Bank Bowl lifted Bank into third place in the table, just seven points behind leaders Streetly, and perfectly sets up Saturday’s visit to second placed Lichfield. 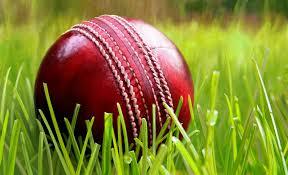 Bank were put into bat by their Cannock-based visitors and found themselves in trouble at 23-3. However, an important partnership of 67 between captain Adshead (54) and Tom Underhill (34) got the hosts back on track before Pete Alexander (44no) and Tom Shepherd (28) provided important impetus in setting a defendable total of 196-7 off their 55 overs. Aaron Afford got Milford Hall off to a breezy start but Ryan Blakemore’s triple strike reduced the visitors to 62-3. When Afford’s innings of 58 was brought to an end by 14-year-old Josh Baker, Milford Hall were 96-4 and the match hung in the balance. Bank knew they were likely to have to bowl their opposition out to secure victory but they found James Davis (71no) a major hurdle in their path. However, there was little Davis could do as Blakemore claimed 5-54 off 13 overs and Baker 3-40 off 15.2, including the final wicket of Sam Jeavons caught by Tom Pedley. Milford Hall were dismissed for 189 in the 49th over and Bank were left to celebrate a hard earned victory.